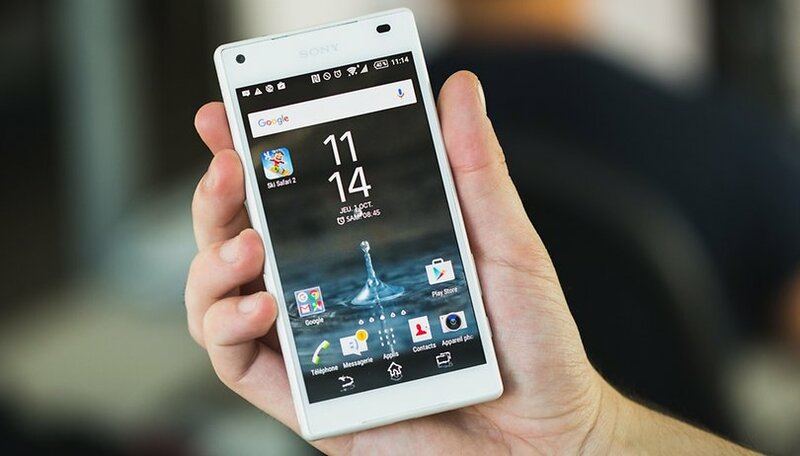 The Sony Xperia Z5 Compact is the latest in a series known for wrapping high-quality hardware inside a small package. But when it was unveiled last September, the reaction was lukewarm. Now that Sony has announced the Z5 Compact's official US release date (see the Release date and price section below) is it time to consider buying one? Find out in our Sony Xperia Z5 Compact review. The Sony Xperia Z5 Compact will see a US release on February 7. Sony announced the news over Facebook and confirmed that the device will be available unlocked, supporting GSM networks, for an asking price of US$499.99. You will be able to pick one up through Amazon, Best Buy and B&H. In an as yet inexplicable move, Sony has decided to remove the fingerprint scanner from the Z5 Compact for its US release. The decision to remove one of the device's most notable features has been described by Sony as a "business decision", which is about as vague as explanations come. We've reached out to Sony for further comment, and we will update this page if they provide more information on the move. Sony’s Compact devices have a reputation for eschewing the 'Mini' or 'Lite' phone tradition of being a low-cost, lower quality version of their flagship cousins. Instead, Sony’s Compacts tend to cost about the same as the larger Xperia Z handsets and maintain many of the same high-quality components. The key difference is the size. The Xperia Z5 Compact specs are similar to the Xperia Z5, but the same cannot be said of the design. While the Z5 comes in sleek, aluminum frame, the Z5 Compact arrives in a cheaper-feeling plastic shell with a frosted glass rear. The plastic frame almost feels lower-quality than its predecessor, especially as it's no longer partially-transparent. On our test device, the front and rear glass plates are not equidistant from the frame – on the back of the phone, there's a gap between the glass and the frame on the left side and bottom, while it's flush at the top and right. Pay close attention to this if you are considering buying the Z5 Compact. Despite the use of plastic, the Z5 Compact is marginally heavier than its predecessor, the Xperia Z3 Compact (139 g compared to 129 g), but otherwise the dimensions are roughly the same. The Z5 Compact measures 127 x 65 x 9 mm, the Z3 Compact is 127.3 x 64.9 x 8.64 mm. Many of the Z5 Compact’s other design features echo the Z3 Compact, with only a few changes to the hardware features. The front camera and proximity sensor have switched sides and the speakers have now migrated to the top and bottom edge of the handset, but it’s still instantly recognizable as an Xperia Z device. On the right side is the Xperia Z5 Compact power button, which is now an oval shape and doubles up as fingerprint reader. This can be used to unlock the device, like on the Samsung Galaxy S6 and iPhone 6. The volume bar is now below the power button closer to the camera trigger on the side. The volume rocker, is inconveniently placed, whether you are right or left-handed. Your thumb naturally wants to rest higher on the device, and moving the phone around in your hand just to adjust volume soon becomes annoying. The new position of the camera lens, on the far left of the back of the device, is also awkward. It's easy to accidently cover the camera sensor with a finger while taking a photo. Like all device in the Xperia Z series, the Z5 Compact is dustproof and waterproof to IP65 / 68 certification. What’s more, it can be operated even when the screen is wet or underwater – something that was difficult with its predecessors. The Xperia Z5 Compact has 4.6-inch screen diagonal, making it smaller than the majority of smartphones released by the major Android manufacturers this year. Its display has a mid-range, HD resolution (1,280 x 720) the same as the Xperia Z1 Compact and Xperia Z3 Compact. Sony’s local adaptive contrast display technology is effective, adapting to the ambient brightness of your environment to aid visual clarity. It's a superior solution to 'adaptive brightness', which is offered as standard on Android. Whether in bright sunlight or in deep shade, the screen responds to the environment and remains readable, even when we held the phone at a 30-degree angle. Overall Sony’s HD display is good. It’s sharp and the color saturation is balanced but I can’t help but wish it had been upgraded to Full-HD resolution. Full-HD media is readily available and it would have improved the appearance of (some) images and videos greatly. Given Sony’s apparent enthusiasm for high-definition displays (see the Xperia Z5 Premium), and the relatively high price of the Z5 Compact, this is a disappointment. The Xperia Z5 Compact has a fingerprint scanner that you can use to unlock the device, as well as make payments with Android Pay. Sony’s scanner, unlike many of its competitors’, is positioned on the side of the phone, which feels like a more natural place to access it: your thumb will often find its way there automatically. The Xperia Z5 Compact fingerprint scanner yielded good results in my tests. It's placed in a natural position, the 'wake' gesture works fast without needing the button to actually be pressed, and you can still hold the device securely when using it. The one downside to the fingerprint sensor is that, unlike the display, it will not work when your thumb is wet. The Xperia Z5 Compact is running the same user-interface as the Xperia Z5. It ships with the latest version of Android Lollipop together with the Xperia UI and Sony’s usual bunch of pre-installed apps: Music, Videos, Xperia Lounge, etc, along with Facebook and 11 applications from Google. Sony also includes a radio antenna to support FM radio. Although Sony is testing a UI that's closer to the stock Android experience, this has yet to manifest itself. Still this current version of Xperia remains close to stock Android, meaning Sony is in a position to provide relatively quick updates; particularly useful when security crises such as Stagefright occur. Sony has plenty of preloaded apps on the Z5 Compact but most of them can be uninstalled or removed immediately. The most notable Sony apps are Socialife, Lifelog, Smart Connect and Xperia Lounge. The news app Socialife is well-designed and surpasses many competing apps in its successful implementation of Material Design. As a vertical list of news, its functionality is reminiscent of Google news and weather, but it’s also used to promote Sony products and services. Lifelog is a fitness tracking app that's especially useful when combined with a smartband. It measures how much time you have spent doing sports, at work, driving a car or playing video games. If fitness is your thing, Sony’s app is as good as any. Smart Connect allows you to make simple automations regarding connectivity. You can set it so that plugging in your headset, for example, will launch your favorite music-player app. It’s much like Tasker or IFTTT. The Xperia Lounge is Sony’s own marketplace for music or movies, similar to what Google Play and the Amazon Store offer. The most useful apps are Music, Video, PlayStation and Album (the media apps), the contents of which can be viewed and interacted with across other Sony devices. The Xperia Z5 Compact runs on a 64-bit Qualcomm Snapdragon 810 processor (MSM8994), with four cores running at 1.5 GHz and four at 2 GHz, with the Adreno 430 GPU. Additionally, the Z5 Compact houses 2 GB of RAM (1 GB less than on the Z5 and Z5 Premium) and 32 GB of internal storage, though it supports microSD cards up to 128 GB. Check out the benchmark results below. It seems that Sony has learned some lessons from its recent history, and has done a great job of optimizing the OS so that the hardware doesn't overheat, despite the processor being the same as the one in the Xperia Z3+. If we compare the Z5 Compact to our performance measurements created for our fastest Android smartphone article, the Z5 Compact lines up somewhere between the Z3+ and the OnePlus Two, both of which are equipped with the Snapdragon 810 processor. The 'fastest compact smartphone' crown would certainly not be out of reach for the Sony Xperia Z5 Compact. We pitted Xperia Z5 Compact against the Xperia Z3 Compact to investigate Sony's promise that it had improved the audio quality. We played the same MP3 track, in the same player, with the same audio settings, at full volume, on both devices. Though the maximum volume was (disappointingly) almost the same, the sound was significantly clearer in the Z5 Compact, particularly in the low to mid frequencies. The larger Z5 Compact drivers offer far more depth. However I still wouldn’t recommend the Xperia Z5 Compact as an alternative to a Bluetooth speaker, because, despite its stereo speaker setup, it’s just not loud enough. Nevertheless, it was a notable improvement over the last device, and call quality and video call quality were also excellent. The stereo speakers of the Z5 compact, are far better than the bottom- or rear-mounted single speakers of many modern flagships, the Galaxy S6 and LG G4 included. The camera software is the real centerpiece of this year's Xperia generation. The Sony Xperia Z5 Compact camera features a 23 MP Exmor RS Sensor, and a super-fast autofocus of 0.03 seconds. In bright outdoor shots, the dynamic range is remarkable, displaying huge contrast between light and dark, but also maintaining detail in shade where most competing phones would only show black. The Z5 Compact does tend to distort colors slightly however, edging towards a blue hue, but it makes a change from the long-standing pink bias of the Xperia phones. Indoor images should generally be taken with the flash to reduce this. The default Sony camera app produced some impressive photos, however. In addition, the Z5 Compact camera has what Sony calls a 'hybrid image stabilizer', which helps to decrease the shakiness found in handheld videos. The continuous autofocus, which automatically changes the focus of an image according to the proximity of the object to the lens, is another highlight of the Z5 Compact camera. The Sony camera sensor recognizes moving objects and makes the adjustments impressively fast. Other current cameras offer this software feature too, but they don’t really compare. Following optimizations to the Xperia Z5 Compact software, it is now possible to use the augmented reality modes, for example, without the device overheating. Sony's camera app comes with a pool of apps, most of which are 'fun' effects such as the AR-mask, but some are very cool. Time-shift video recording for example, records videos at a higher frame rate and lets you choose a portion of the video to playback in slow motion. It’s not unique to Sony, but it’s a nice addition. Sony's camera software includes a Manual mode for incremental camera adjustments, but I found its automatic mode worked just fine in most circumstances. The results were consistently impressive, and you can see a whole bunch of them in our Xperia Z5 Compact camera review gallery. When testing the Xperia Z5 Compact, I installed all of the apps I normally use, including the notoriously data and power-hungry Facebook app. I set the screen brightness between 60 and 70 percent, so I could easily read it in the office, and made all of the benchmarks and photo examples you can see in this review during the initial test. After 24 intense hours, with about six hours of screen-on time, the battery was still not depleted (my Nexus 5 would have died twice in that time). I used the device far more than the average person would have done over the same period and yet it still had 8 percent (estimated at around three hours) of juice left. Maybe battery performance will dwindle after repeated use, but for now it seems that Sony still knows how to rock battery life. According to Sony, the battery of every Xperia smartphone in the Z5 range can last up to two days and one hour (or almost 50 hours, as a normal person might put it), and supports Qualcomm quick-charge 2.0 functionality. Additionally, the Xperia Z5 battery has been slightly boosted to 2,700 mAh, compared to its Z3 Compact predecessor’s 2600 mAh capacity. The Sony Xperia Stamina mode and ultra power-saving mode also make a return. All told, the Xperia Z5 Compact is one of the most energy-efficient smartphones on the mobile market – the trade off for one of the most average displays. The Sony Xperia Compact line should never be compared to other Mini smartphones. Sony has provided the same CPU, GPU, camera and audio quality as the Premium device in this series, just with a smaller, lower-resolution screen. You don't find other Android OEMs taking this approach. The battery life is strong, the performance is in the same region as any 2015 flagship and the camera is at the peak of Sony's potential. When we first reviewed this phone, its price equated to around US$600, we said was "unreasonably high" given the "rapid decline" in Sony's Xperia Compact prices just a few months after their release. So what about its official US$499 US introductory price? Well, it's still expensive considering the relatively low-resolution screen, but the Xperia Z5 Compact is also the best 'small' smartphone in the world. What's more, unlike the standard Xperia Z5, the Z5 Compact may not see a sequel until the end of 2016. Ultimately, if you want a flagship standard smartphone that's less than 5-inches tall, you should get the Xperia Z5 Compact. What are your thoughts on the Z5 Compact? Let us know in the comments. This article has been updated since it was first published. Comments below may not reflect the current content. I was so impressed w/ the "Music" quality on the Z3, but so far I can't say the same thing about the Z5. The music quality doesn't have the same punch as my 2014 Z3. I hope Sony can fix this problem in their next "Music" update. I gotta have more cow bell! This should be at the top of Sony's list. And another thing; for some reason my spellcheck doesn't work. Other than that my Sony Z3 was super reliable and I except to be as delighted w/ my new Z5 for the next 2 years'. I did spend $600 dollars on this device and don't regret it at all. I've bought a sane sized phone, not some huge monstrosity that can't fit in my pocket or my hand. I hope other manufacturers realize this and make 'compact' phones that are not neutered like the xperia line. I'm in a bit of should i buy or not? I've a z3compact and it's a brilliant phone, just don't know whether to upgrade to the bigger z5? love some advice now the z5s been out for a bit! Ok, i need your help.... I have bought the z5c forum the excellent battery life (like this and other reviews say) and it's three days i can barely make to 8 pm with my phone :( i have the same brightness as the reviewer and i use my phone mainly for WhatsApp, a check or two on Facebook and a little browsing.... Nothing too stressful. Non (in italy it's 9.30 am) i am already at 84% and it Will be completely drain (as these three past days) around 6 pm....what can i do??? A hard reset? Or is there something i miss!? I feel your pain. I made the upgrade from the Z3C which had excellent battery life. My Z5C on a regular day use is crap compared to the Z3C. Today I took my phone off the charger at noon and by 9:00 pm I was under 20%. I am not a stranger to customization and making sure bluetooth/nfc/gps are off when I don't need them. But still, this phone is making wonder if I should return it because I am super unhappy with the battery results so far. I'd bring it back to the shop for replacement. I have had this phone for 2 weeks already and I can tell that 2 days is achievable. In stamina mode mine uses about 12% battery in 24 hours if I don't touch it. I have GPS and BT turned off. Mobile data and Wifi are only active when the screen is on. In fact I am amazed at its stamina comparted to my wife's Nokia1020, which barely lasts 10 hours on a charge. I'm curious: do you get 2 days in stamina mode on under standard mode. Mine lasts a little less than one day, more or less, in standard. With my usage pattern, Z3C used to hold far more than a day. And, we should not forget that both - the Z1c and the Z3c suffer from cracked displays and - for the Z3c - cracking glases on the rear side of the phone too, with absolute no waranty from Sony. So IMO its worth to wait several months and follow the reviews on Shopingplatforms if Sony have solved this Problem with the Z5c. I have to admit myself I'm tempted to wait for the z5, coming from a Samsung user I would prefer battery over screen resolution. Companies are obsessed with getting better screens and still keeping their phones thin, they can put all the power saving devices they want on it, but if you have a powerful screen and your limited to the power of a battery you can put in the handset without affecting the size of the handset then I would prefer a phone that can give me two days worth of power for the sake of a lower resolution/ppi etc. I'm not going to have my eye's right up to the screen or sit and think wow that screen doesn't look as good as other phones, and if anyone else spots it, then i would like to say to them, however whilst I'm still using mine on a night out, you will be sending your last message with something along the lines of "my batteries nearly dead, so if I don't reply then you know why." message. I'm impressed with everything about the Sony z5 and never really had a Sony phone, however I do know they are renowned for good battery life. I'm seriously considering the z5 and tempted not to wait to see what the s7 offers because I really do think there will be a lot of hype, but they won't deliver what people expect or want, I know all companies don't listen to the consumers anyway, but Samsung are terrible for completely blanking there consumers. Sony Xperia Z5 was being compared to Samsung Galaxy S6 and for me, I will go for Sony Xperia Z5 because it is not na upgrade of an previous model. The features and functions are excellent. Thing is the performance the phone gets from 720p is much better than 1080P+, you see the iPhone 6 and now the s always on top in performance because of it. You don't notice the resolution at 4.6 unless you look closely, but I do agree that once you notice it, you do feel a bit let down. My problem with the screen though is Sony panels on their phones are always way behind the competition, you look at this and then a GS6 and the quality is so disappointing. While I look at photos on the screen, browse the web, use apps and watch the odd video from Facebook or netflix. I don't need 1080p ,720 or whatever it is, will do fine thanks. I have a hi quality TV screen I can Chromecast to thanks. What I do need is a very good camera and if its an improvement on the Z3 Compacts camera then that will do me. The CPU has another power to process things quickly and efficiently. I like Noise cancelling and hi quality music playback with battery life which means I can go away for the weekend and not stress about the battery. Lastly I need a phone which when my wife accidentally splashed water on my Z3 compact just like she did ten minutes ago I don't need to panic in fact I was more worried about the TV remote sitting by it! The Wifes Iphone was splashed with water two weeks back and it required replacement, which cost us in insurance excess and time making the claim, handing the phone in, getting a temporary phone and picking it up. Seriously who the heck sits and watches a compact Mobile Screen and wants a cinema experience? I prefer a phone which gets me though the day and possibly the weekend or even the week in ultra stamina mode. I have had enough of the large high resolution screen Smart phones which die after less than a working day (forget going out for the evening on the same charge). A smart device is only as useful as long as it is working, you can keep your dead due to lack of battery capacity High resolution and I will keep my Low resolution Compact thanks.